One of the easy ways to detect a fire is to have smoke detectors throughout the area, especially in the kitchen, but seniors with poor hearing may not be able to hear a smoke detector at all. If they can’t hear this alert and take immediate action, it can dramatically impair their ability to get control of the fire or alert others for help. This is a major problem and could lead to someone being unable to escape the fire before it’s too late. Two helpful suggestions: remind seniors to stay in the room while they’re cooking, or if leaving the kitchen, to take a spoon, spatula, or another kitchen item to remind them that they have something cooking. In addition to these safety tips, it’s crucial to still focus your fire prevention efforts by practicing general fire safety in the kitchen. Keep your kitchen orderly, being careful with loose clothing and hair, and make sure you have smoke detectors and fire extinguishers at the ready. In addition, make sure the senior is able to and understands how to get help. This could be a cell phone, or through alert bracelets/necklaces and other auto-alert means. Make sure seniors know whom to contact for help and how best to do this. 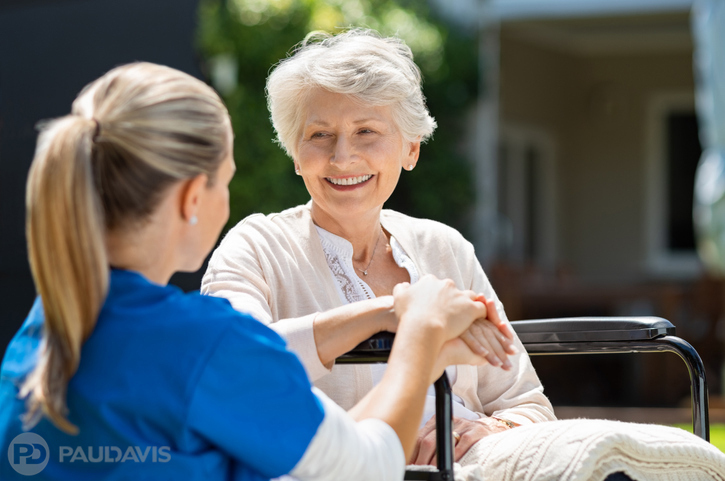 Additionally, property managers can take smart proactive steps to protect their senior residents and properties. Paul Davis Restoration offers preventative solutions and mitigation services to owners and property managers for fire safety, vandalism, flood damage, and more. Call Paul Davis today at 888-473-7669.